The crunch of two made-to-order vegan falafels paired with crisp romaine lettuce, juicy tomatoes, and drizzled with nutty tahini sauce, is the perfect contrast to the fresh, toasted pita bread it’s wrapped in. 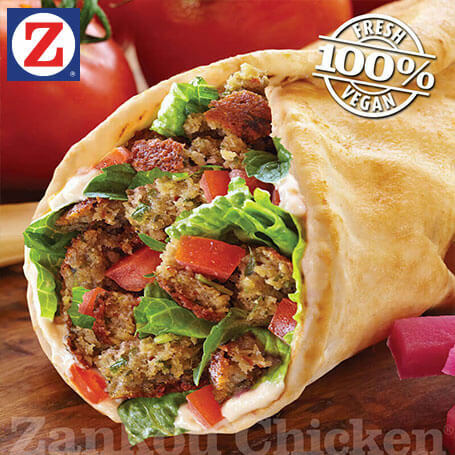 FALAFEL WRAP (100% VEGAN): Two pieces of falafel, romaine lettuce, tomatoes and tahini wrapped in freshly baked pita bread. 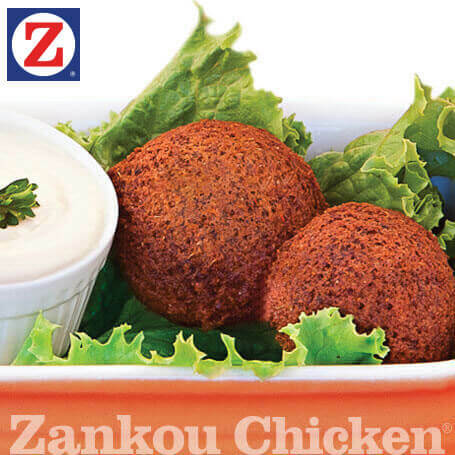 *Falafel is prepared in peanut oil.